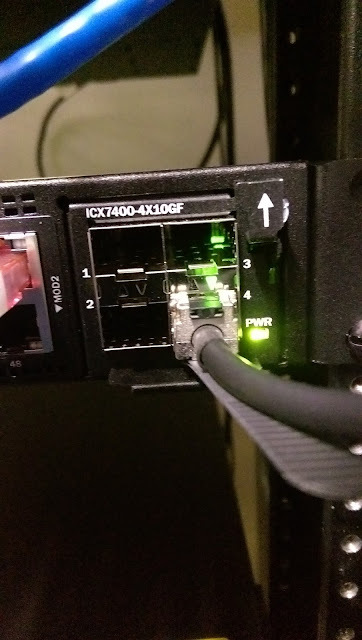 As an FCX replacement, the ICX 7450 is a nice switch. With 336 Gbps switching capacity (line rate) and up to 250 Mpps of forwarding rate, this is a good small business core. You can also stack up to 12 units together. Not that this model has three modular slots. One in front, and two in back.